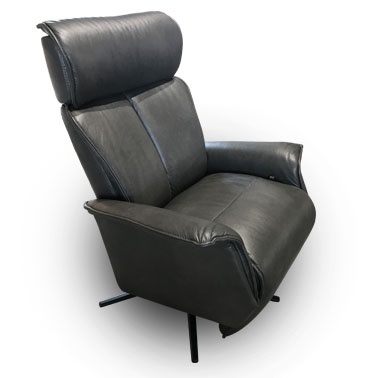 The Codi 2500 in Anthracite Leather is the perfect example of elegant form following comfort and is a statement in contemporary seating design, Offering a back and foot-rest that operate completely independently. All cushions are made from cold cure moulded foam. It features Anthracite leather and a black metal star base.